Max. 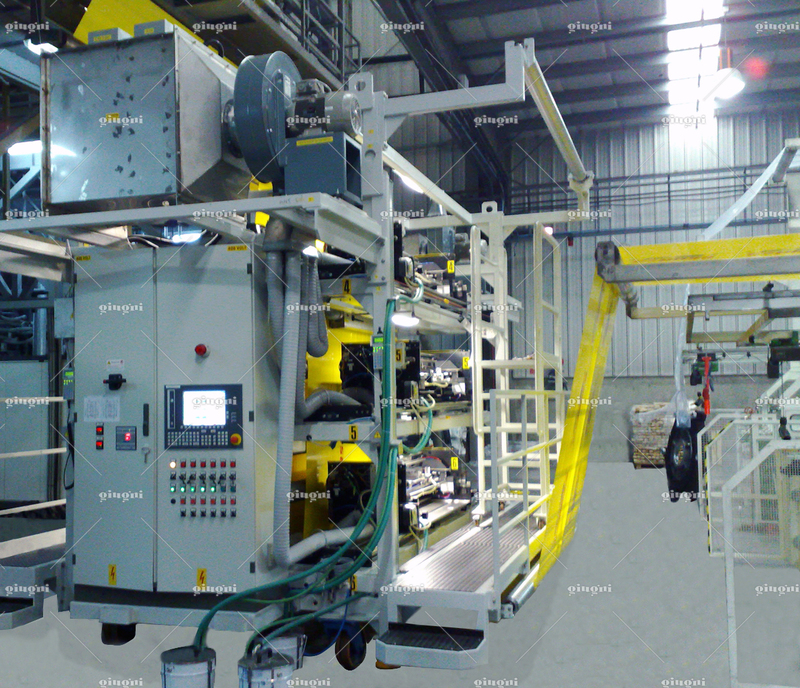 printing area: 1300 x 800 mm – can fit printing cylinders with printing repeats from 700 to 1000. Max. working speed: 50 metres per minute. Notes: the extremely flexible and easy solution to print 3+3 or 5+0 colours using water base or solvent base inks. The printing equipment 903 is an extremely flexible and practical solution for the in-line 3+3 or 5+0 colours printing. Indeed, it is possible to print up to 5 colours on a single film side as well as 3 colours on each of the two sides of the film in order to personalize a huge range of different possible products, like cement bags, flexible packaging, sacks for pallet, shoppers, bags, etc. Moreover, this printing system is suitable for using both water base and solvent base inks. The system consists of a main supporting frame, where 6 printing units Miniflex 518/1300 are placed. The frame has been designed to work with films having max. width of 2800 mm and is equipped with system for the transversal mechanical adjustment for each printing unit. In this way, the printers can be moved along the whole film width. The six printing units Miniflex 518/1300 placed on the supporting frame and electronically connected each other have a max. printing area of 1300 x 800 mm (printing width x development), but printing rollers having developments up to 1000 mm can be used. All printers are equipped with flexographic inking system: doctor blade closed chamber and laser engraved ceramic anilox roller. Thanks to this, the cleaning and colour changing operations are very easy and quick to be carried out. Each Miniflex has its own ink supply and recirculation system consisting of a 15 or 25 litres bin placed on a trolley with wheels, peristaltic pump, and fast connection pipes. The peristaltic pump can work in two different directions: one to deliver the ink to the closed chamber while printing or solvent while washing, the other to drain the ink from the closed chamber before cleaning or the solvent after cleaning the unit. The six machines are provided with electro-pneumatic control and are controlled by an electric cabinet with touch-screen panel. By the panel, the operator can completely control, set and register all the operations to run with the Miniflex. These operations are particularly easy to carry out, because the panel has graphic icons for a quick and simple reading of the operations. 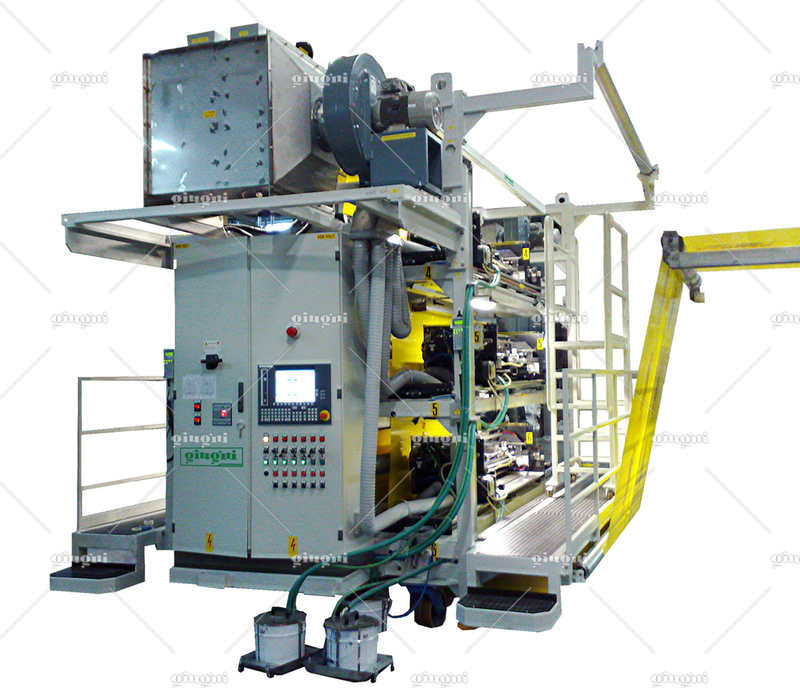 Moreover, the operator can use two small handy panels placed on the frame sides for the main functions regarding the printing process. 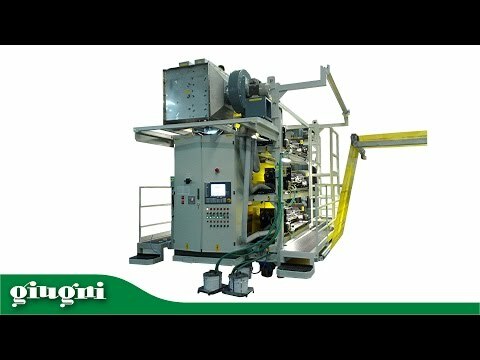 The system gives the possibility to choose the working mode between “Continuous” (fixed printing repeat, given by the printing roller circumference) and “Variant” (the printing repeat can be set from control panel without changing the printing roller). The printing system is also equipped with a drying unit with hot air blowers and electrical resistances and with fan exhaust unit to expel the air and the solvent vapours.